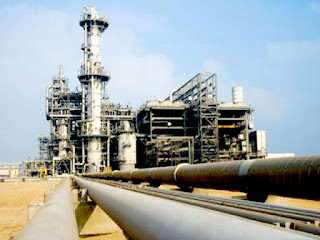 The Nigerian National Petroleum Corporation has announced that the Port Harcourt and Warri refineries have been successfully re-streamed after a nine-month rehabilitation exercise conducted by its in-house engineers and technicians. The corporation, in a statement, noted that both plants commenced preliminary production of petroleum products after successful test-runs, adding that while PHRC was ramping up its operation to about 60 per cent of its 210,000 barrels per day capacity, WRPC production was projected to hit 80 per cent of its installed 125,000bpd capacity. The NNPC said the Port Harcourt refinery was projected to boost the nation?s local refining capacity with a product yield of five million litres of petrol per day, while Warri refinery would contribute 3.5 million litres of petrol. Providing insight into the rehabilitation exercise, the NNPC noted that it had to adopt the phased rehabilitation strategy after the Original Refinery Builders, who were initially contacted for the project came up with unfavorable terms. It said, ?Though a decision was taken in 2011 to rehabilitate all the refineries using the ORB of each of the refineries, we were impelled to switch strategy after the ORBs declined participation and nominated some partners in their stead who came up with outrageously unfavorable terms.? The NNPC stated that the nominated partners, as sole-bidders, came up with humongous price offers after two years of thorough and exhaustive scope of work definition and price negotiations. It added that the proxies were also unwilling to provide post rehabilitation performance guarantees. The corporation said, ?The phased rehabilitation strategy which entailed phased and simultaneous rehabilitation of all the refineries using in-house and locally available resources in line with the spirit and letter of the Nigerian Content Law, also involved the use of Original Equipment Manufacturer representatives to effect major equipment overhaul and rehabilitation.? The national oil firm said the phased rehabilitation programme, which started in October 2014 after the required funding stream was established, created a 70 per cent reduction in costs which helped largely in mitigating the financing challenges of refinery rehabilitation. It observed that with the successful re-streaming of the PHRC and WRPC, attention has now moved to the 110,000 barrels per day Kaduna Refining and Petrochemicals Company which was billed to come on stream soon. In a related development, NNPC disclosed that it had successfully recovered the System 2B Pipeline which was breached last week at Arepo, Ogun State. The corporation stated that its team of engineers, who were deployed to the scene of the incident, were able to access the pipeline after the fire was put out and commenced repair work immediately. It said, ?We wish to announce that the vital System 2B Pipeline which was breached at Arepo last week has been fixed and brought back on stream. Pumping of products through the system commenced on Monday upon successful completion of repair work over the weekend. ?We also wish to call on all those engaged in the criminal acts of pipeline sabotage and oil theft to desist in order to avoid such horrendous deaths as was witnessed in the recent incident. ?